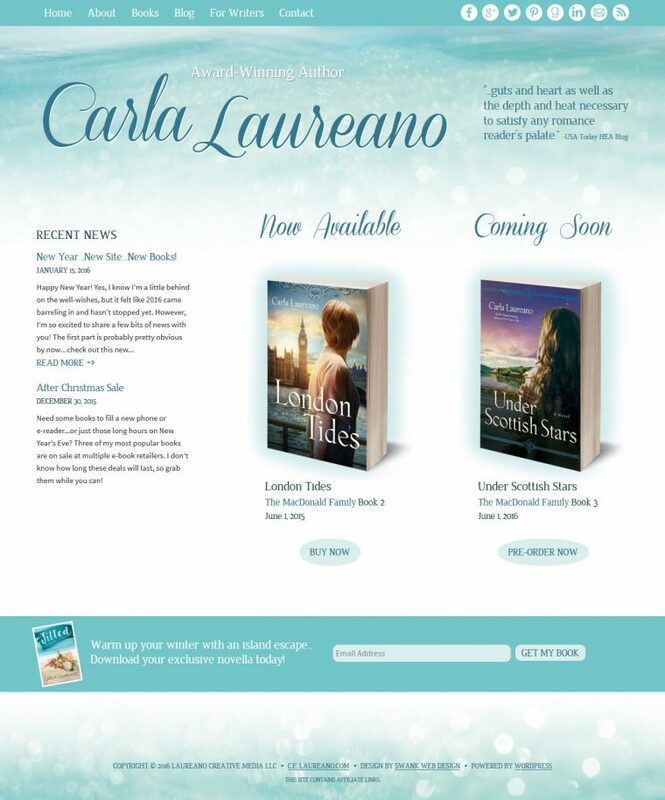 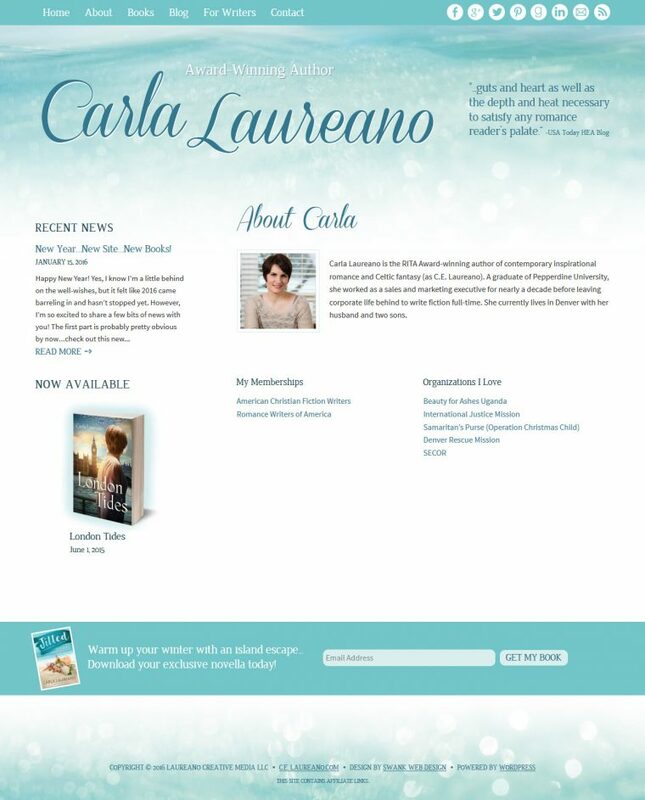 This is the first of two websites we did for Carla. 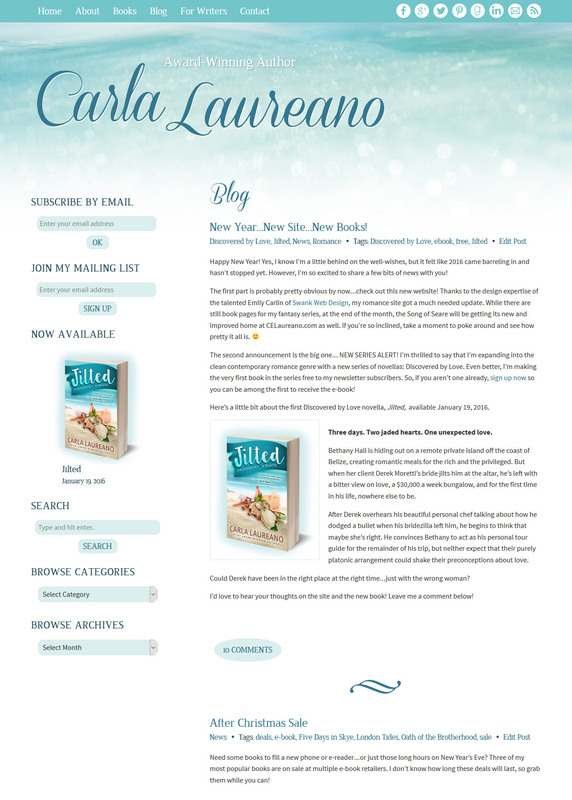 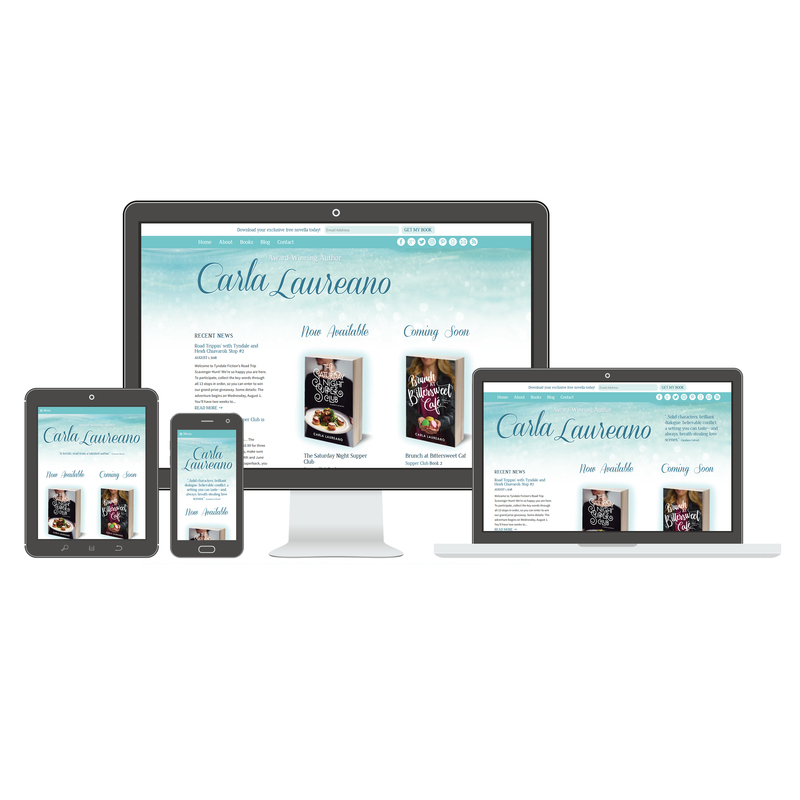 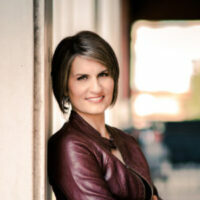 She wanted us to create separate websites for her romance and fantasy novels. 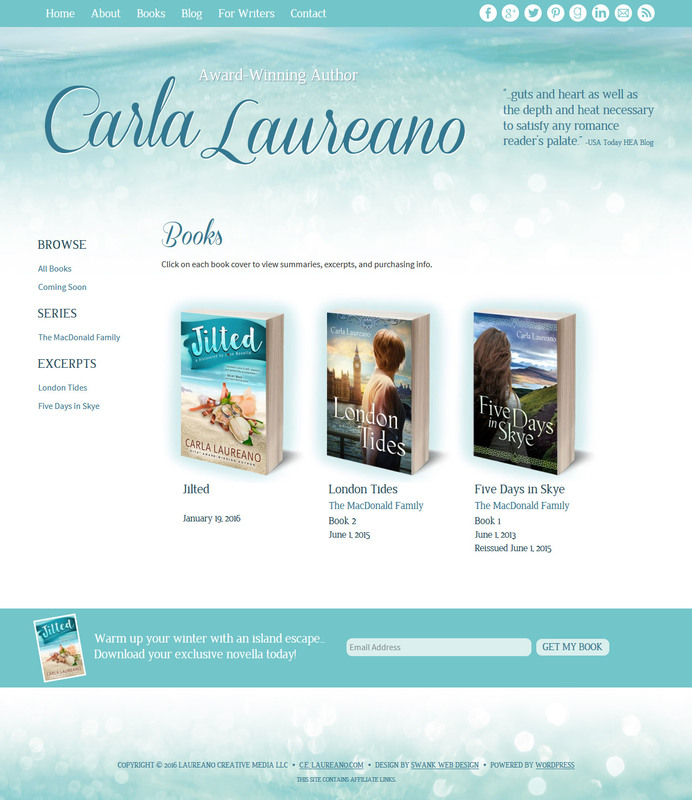 She wanted the website for her romance novels to be very light and fresh. 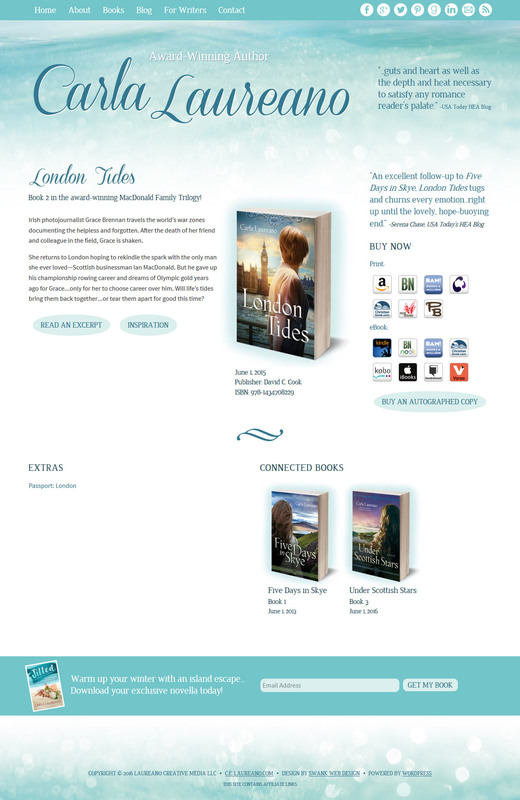 Water features heavily into all of her novels, so we used water/wave imagery to give the refreshing tone she was looking for.